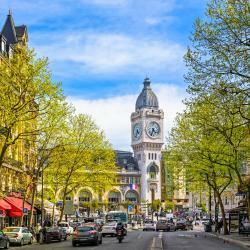 Looking for hotels near Quai de la Rapée Metro Station? Featuring spacious suites and a fitness center, Goralska Résidences Hôtel Paris Bastille is located 1969 feet from Place de la Bastille. 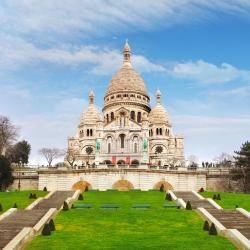 Located in Paris, My Open Paris is a 9-minute walk from Place de la Bastille. It offers self-catering apartments and studios with antique-style furniture and free WiFi. Appartement Seine et Marais offers accommodations in Paris, 3117 feet from Port de la Rapée. Appartement Seine et Marais features views of the city and is 1969 feet from Opéra Bastille. The citizenM Paris Gare de Lyon is set in the 12th district of Paris. It offers breathtaking views of the Seine and is located near to Gare de Lyon train station. Located 1804 feet from Bastille Square and a 10-minute walk from the Marais district, this 4-star hotel offers rooms with free WiFi access. It provides a 24-hour reception and fitness center. Hotel Palym is located on a quiet street just 2 minutes from Gare de Lyon and a 15-minute walk from AccorHotels Arena. It offers modern accommodations with Wi-Fi access. Located 984 feet from Gare de Lyon Train Station, ibis Paris Gare de Lyon Ledru Rollin is a 24-hour reception hotel with a snack bar and a bar that serves international drinks and beers. Overall the breakfast was delicious, so glad I opted in purchasing it. Holiday Inn Paris Gare de Lyon Bastille is ideally located in the center, 853 feet from Gare de Lyon Train Station. It features stylish air-conditioned accommodations with flat-screen satellite TV. Quiet and comfortable, modern and clean. Exactly what we like! Hotel Palym is located on a quiet street just 2 minutes from Gare de Lyon and a 15-minute walk from AccorHotels Arena. It offers modern accommodations with Wi-Fi access. The hotel was very easy to find - all I had to do was exit Gare de Lyon in the right direction. 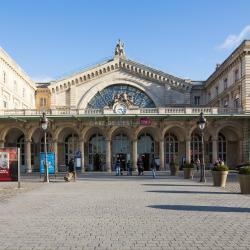 Hotel Mercure Paris Gare De Lyon is located right next to train and Metro connections at the Gare de Lyon.Free WiFi is provided. Really just next to Paris Gare de Lyon. Nice and friendly staff. The Hotel Lyon Bastille is in the center of Paris, 500 ft from Gare de Lyon. This location puts guests within walking distance of Place des Vosges and Le Marais. professional and excellent receptionist. Good WiFi few meters away from the train station. In the heart of Paris, this hotel is decorated with original stonework and period artwork. It has an interior courtyard and provides free Wi-Fi access. Charming small hotel. The ground floor room had a little shared patio with bistro table and chairs. 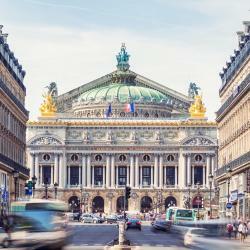 Located in central Paris, Hotel Viator - Gare de Lyon is just 328 feet from Gare de Lyon, providing access to Bastille Opera House and Hôtel de Ville. The staff was great! Someone always at the desk and was able to help with anything we needed. This charming hotel is in the 12th district, a 10 minute walk from Gare de Lyon and Austerlitz Train Station. It offers free Wi-Fi access and a 24-hour front desk. It is very close to where I needed to go. It's clean and feels safe. Just a 5-minute walk from the Gare de Lyon Train and Metro Station, this renovated 19th-century townhouse is located opposite the Bastille Opera House. The location and clean rooms. Very friendly and helpful crew. That's an ideal 3 star Hotel. Located just 984 feet from Gare de Lyon TGV Train, RER and Metro Stations in central Paris, this air-conditioned hotel offers a 24-hour reception and ticket service. The location was perfect. The staff was very friendly. Hotel Helvetia is located in central Paris, a 2 minute walk from the Gare de Lyon Metro and train station. It offers accommodations with private bathrooms with free Wi-Fi internet access. 6he best location to stay, very clos to Gare Lyon juat opposit. Hotels with great access to Quai de la Rapée Metro Station! Located a 3-minute walk from the Jardin des Plantes, the Libertel Austerlitz Hotel is opposite the Gare d’Austerlitz, on the banks of the River Seine. Friendly staff, good bed, clean rooms and perfect location. This hotel is located in the center of Paris, less than a 15-minute walk from the River Seine, Jardin des Plantes, Bastille and AccorHotels Arena. It offers free Wi-Fi access. Very clean. Great value. Quiet. 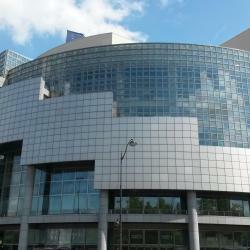 Hôtel Jules Cesar is located in Paris, 1312 feet from Opéra Bastille and 0.7 mi from AccorHotels Arena. Each room here will provide you with air conditioning and a satellite TV. Great location with friendly staff. Will stay again when in Paris. Azur Hotel is located in Paris’ 12th arrondissement, just 656 feet from Gare de Lyon and 2625 feet from Place de la Bastille. I loved this hotel the energy and all that it had to offer.